This contains spoilers for episode 1-11 of Twin Peaks: The Return. Not many but it’s possible. It’s Sunday night here in the UK. Usually, I’d be looking forward to waking up tomorrow and having a new episode of Twin Peaks to watch. However, I’m on holiday in Cornwall at the minute in an apartment with no wi-fi and no Sky Atlantic. I am therefore going to have to go into social media hibernation for the next few days to avoid finding anything out that I don’t want to know before Friday night when I get home. Most of you will be in the priveleged position of having seen more Twin Peaks than I have until then. On the plus side, when I’m finished episode 12, I’ll only have to wait a couple of days for episode 13. So, there’s that! The last time I wrote about this, I think, was after six episodes. That seems like so long ago now. This isn’t going to turn into another 3000 word rant. For starters, I’m typing this on my phone and my thumbs are going to get tired out. Since that last article, so much has happened, especially considering how people complain that this is a show in which nothing happens. After the last article I wrote, I was lucky enough to be invited on the Obnoxious and Anonymous YouTube channel to talk about it. I remember saying that “Gotta Light” might be some reference to Audrey Horne. Guess I was more than kind of wrong there! Let’s start with the music. This now forms one of my YouTube playlists which is on hard rotation pretty much constantly. My wife hears something I’m playing and says, “Is that from Twin Peaks?” and it’s like she already knows the answer. I probably get the most mileage out of The Platters from episode 8 and Rebekah Del Rio from episode 10. That second track from Au Revoir Simone is also a favourite, along with Johnny Jewel’s Windswept. The central plot strands are very strong and are starting to come together brilliantly. People out here are still annoyed about Dougie Coop but I think that whole arc is setting up some very worthwhile payoffs. If that whole situation is real and not some creation of Coop’s subconscious, then what is to become of Janey-E and Sonny Jim when our special agent returns to his senses? 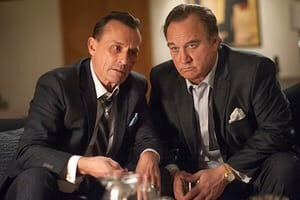 In addition to things like this, I have to take my hat off to the Mitchum brothers, Robert Knepper and Jim Belushi. When I first saw them in the casino, I didn’t expect much: just a couple of cardboard cut-out heavies, I thought. I should have more faith. They’ve grown into much more than that, especially with the surreal joy that is Amy Shiels’ Candie. Watching Albert, Tammy and Gordon follow leads is getting more and more interesting. I thought we were going to lose Gordon to the woodsmen the other night and I can’t wait to see where Diane fits into everything. We also have the doppelgänger still on the loose and up to who knows what. I’ve been thinking about the ‘double-header’ that Mr C tasked Hutch with in Vegas. I wondered whether that’s Dougie and Ike or if it might be the Mitchum brothers. Kyle Maclachlan is doing such good work in his roles, he deserves a lot of praise. I nearly screamed at the TV when he said “Damn good” in his normal voice the other night. Lastly, we have Sheriff Truman and tbe others following the clues. 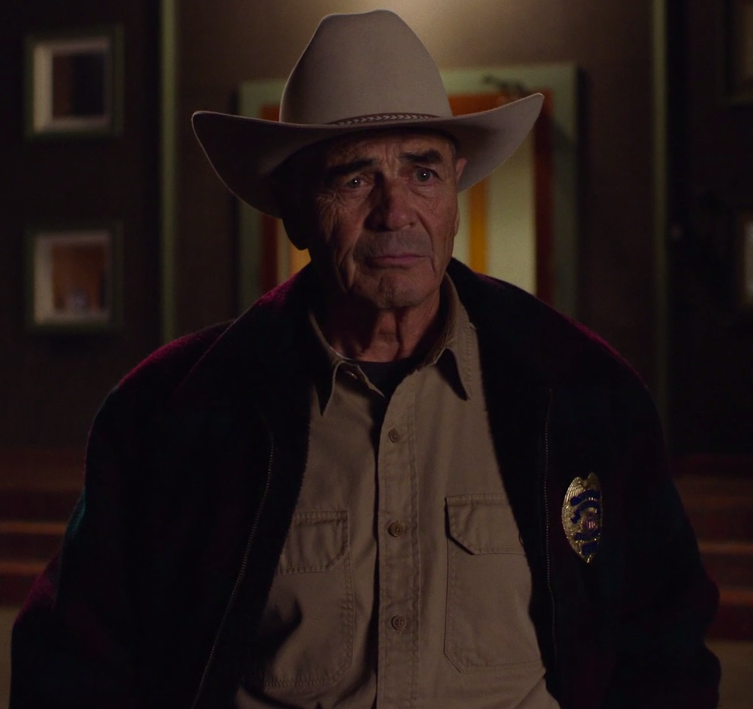 I remember being sorely disappointed that Michale Ontkean would not be in the show and, while I still miss his presence, Robert Forster is establishing himself as one of my favourite actors in this new series. His easy grace and the warmth he brings to the character are exceptional. I hope to see Frank and Harry share a moment of screen time together before the end. These plot lines are very cohesive and complement each other brilliantly, interspersed as theyare with everything else that is going on. Eamon Farren has given us a wild but all too human evil in Richard Horne to offset all the supernatural elements and we have the doleful sadness of Deputy Bobby Briggs, redeemed in so many ways but forced to watch the mother of his child get all smoochy with a nutcase right in front of him. 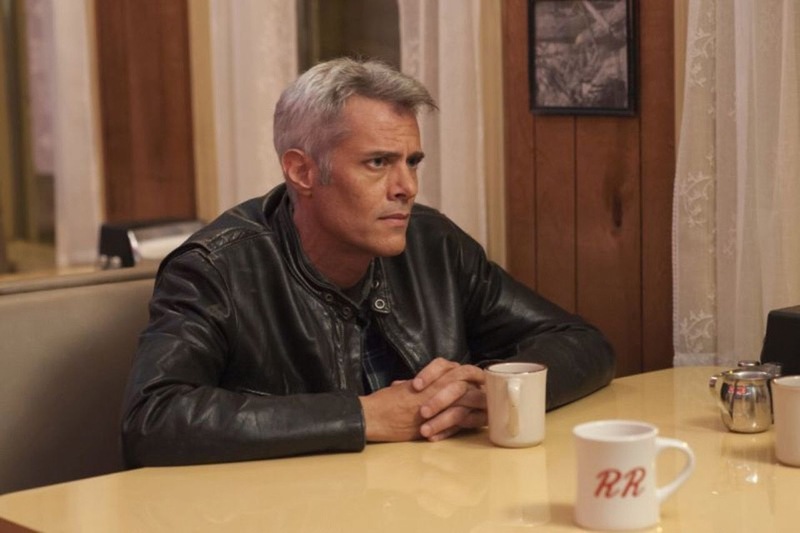 Dana Ashbrook sold that brilliantly. How could I forget the brilliance that was Matthew Lillard, too? David Lynch, Mark Frost and the cast and crew have managed to make me completely hooked on this TV show once again. I’ve never experienced anything like it in terms of storytelling and I’m already dreading the withdrawal that will come with its conclusion. My wife’s loving it, too. In fact she prefers it to the original series. She didn’t watch it when it was first on and I think that’s why. For me, I experienced the original series when it was completely brand new. This new one makes me feel the same way as I did back then, like I’m witnessing something at the cutting edge. The visual work in this new series is just breathtaking as well. Maybe it’s down to the quality of the cameras but it all looks superb. Anyway, that’s it for now. My thumbs are knackered and I’ve probably increased the likelihood of arthritis or something by 200% in the last however long it’s taken me to write this. I haven’t even talked about episode 8 but it’s nearly midnight now. I hope you all enjoy “Let’s Rock” tonight. Maybe you’ll find out who the British guy with James was in the opener. 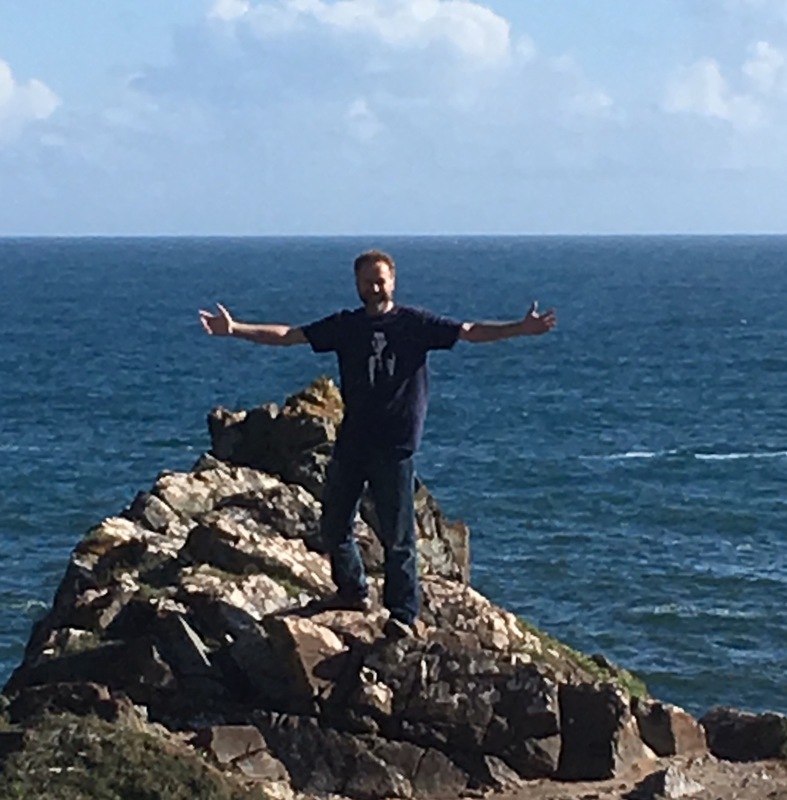 Here’s a picture of me in Cornwall to finish off. It’s not all jealousy and bitterness for me. There are great benefits to being off the grid for a while. Thanks for reading. Here’s a link to the original article in case you missed it.